Recent figures have shown that the European Union is over half way to its target of offering speeds of 30 Mbps or higher to all residents by 2020. Currently, over 113 million households in the EU have access to super-fast broadband internet, though there is still a long way to go particularly for those in rural areas. 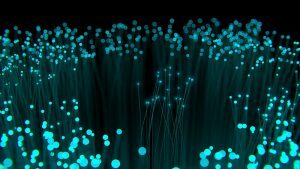 Nearly all households in Europe currently have access to some form of broadband service, though the standard for these connections is not nearly as fast as the 30 Mbps standard the EU is striving for. According to Point Topic, the company behind the European Commission’s survey, telephone line coverage still only extends to 76% of rural European communities, and super-fast internet connections are available in less than 6% of rural households. Additionally, cellular internet using LTE or 4G mobile broadband is only available in 10% of rural regions. Whilst researching the state of broadband internet availability, Point Topic successfully mapped every square kilometer of Europe to plot the spread of connectivity. Mapped statistics in the UK have even begun to be used by real estate agents in the UK to show local broadband capabilities to prospective buyers. The map provided data on the availability of super-fast internet, rather than its adoption or penetration. One problem faced by the spread of super-fast internet connection is not necessarily a case of availability as much as it is a problem with perception. Although the European Union has set out to provide a minimum of 30 Mbps connection available to all households, many people do not feel that these speeds are necessary for their internet use. As of early 2013 only 17.5% of all broadband subscriptions in the UK were for a super-fast internet connection. Is South Korea as Internet-Savvy as It Seems?